This home search shows the current MLS listings of properties for sale in Circle C West. If you find a property you want to see, or want to schedule a NO Pressure Tour of Homes for Sale in Circle C West, call Jim at 512.913.1557. Neighborhood Location: Circle C West (aka Hielscher and LaCrosse) is part of the large and very popular Circle C Ranch subdivision in Southwest Austin, Texas. The main roadways through the Circle C West area are Lacrosse Ave. and Spruce Canyon Dr. This area is bordered on the South by SH-45 and on the West by FM-1826. The key N-S road is Escarpment Blvd., which runs on the East side of Circle C West through some of the older sections of the neighborhood. Scroll down to see more info on the Circle C West subdivision. Click link to see more featured South-Southwest Austin Neighborhoods (East of Brodie Ln.) with an interactive Google map. The table below gives a 8-year overview of home sales and sizes in the Circle C West real estate market. Circle C West (Hielscher/LaCrosse) real estate market data from the Austin Board of Realtors, 1/1/2011 - 12/31/2018. Most of the homes in Circle C West were developed beginning in 1998 by several builders. The most recent developers have been Alta Mira (DR Horton, now completed) and three neighborhoods developed by KB Home ( The Enclave, Enclave Estates, Fairway Estates ). Avana-Esquel, a newish development of Standard Pacific Homes (now CalAtlantic Homes), was begun in 2011. Follow the Circle C Ranch link at the top of this page to get more information on the entire Circle C Ranch development. 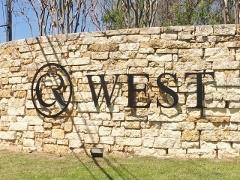 Residents of the Circle C West neigborhoods must belong to the Circle C Ranch HOA (Homeowners' Association). They also get to use the many amenities (some are fee-based) that are part of Circle C Ranch. These include the Circle C Tennis Club, Grey Rock Golf Club, Circle C Swim Center and much, much more! In early 2012, a new community center with pool was completed in Circle C West near the intersection of Lacrosse Ave. and Spruce Canyon Dr.
Part of the appeal of Circle C Ranch is the schools. Students who reside in Circle C West attend the schools of the Austin Independent School District. Prospective homebuyers in the Circle C West area should verify current school assignments with AISD. School attendance zones are occasionally redrawn. Note: Greyrock subdivision students attend different elementary and middle schools.